Twenty years ago in 1994 when I was studying to become an athletic trainer the magic number for replacing a pair of running shoes was 300-500 miles. Four years later during medical school the information we were again being taught was that if runners were having any type of injuries or issues one of the first places we were to look were how many miles they had on their shoes. Anything in the range of 300-500 miles was considered old and needed replaced. Fast forward to 2014 and what we find is that nothing has changed in regards to how many miles you should accumulate on your shoes before tossing them. It has remained 300-500 miles. How can this be? With all of the advancements in running shoes and technology how is it not possible that we can’t find a shoe to last more than 300-500 miles. As crazy as this may sound, it’s a territory that no one has revisited since 1985 when the paper written on how many miles a running shoe can obtain before breaking down. shoes. Am J Sports Med. 1985 Jul-Aug;13(4):248-53. The change in shock absorption properties of running shoes was evaluated as a function of miles run. Different models of running shoes encompassing a wide range in retail price were obtained and mechanically tested to simulate the repeated heel strikes of running. The energy absorbed by the shoes was determined from the area under the load deformation curve at the equivalent of 0, 5, 10, 25, 50, 75, 100, 125, 150, 200, 250, 300, and 500 miles of running. Shoes were also tested at similar intervals after having been worn by volunteers during normal training. 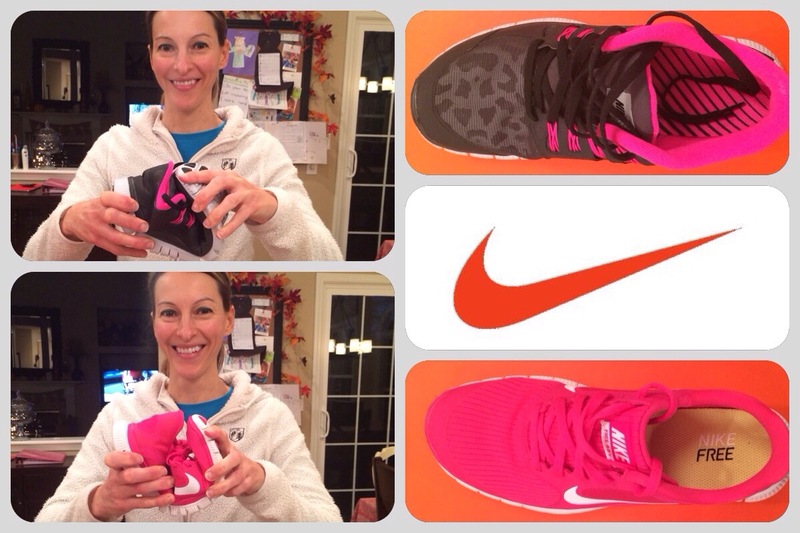 An approximate 33% difference in the initial shock absorption was observed in the different shoe models. In general, the shoes retained approximately 75% of their initial shock absorption capability after 50 miles of simulated running, and approximately 67% after 100 to 150 miles. Between 250 and 500 miles the shoes retained less than 60% of their initial shock absorption capacity. 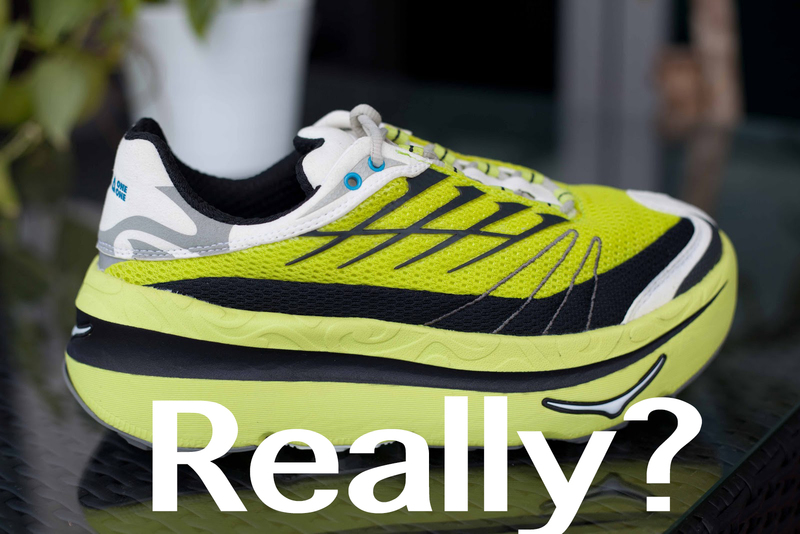 No differences in shock absorption characteristics were apparent based upon either shoe price or the manufacturer model. The results of shoes tested by the volunteer runners also showed a marked reduction in shock absorption with mileage. The loss, however, was not as great as in the machine-simulated running, with approximately 70% of initial shock absorption retained at 500 miles. Obviously the engineering and materials have improved over the past twenty years so why hasn’t the life span of a shoe increased ? Some say they have but the manufacturers refuse to publish the data on the absorption and breakdown process because customers would be requesting refunds claiming their shoes have “failed” too early. Worn-out shoes are one of the leading causes of injury; you should replace yours every 300 to 500 miles. Shop at a specialty running store where you can get guidance from experts on finding the pair that offers the fit and support that your feet need. Replacing your shoes every 300 miles?? Consider an average person training for a marathon will average 40 miles a week for 4 months. This equates to roughly 700 miles during the training period. Assuming these runners had a base of 20 miles a week for 6 months would include another 540 or so miles. And yes, I’m grossly underestimating. This is a total of 1240 miles in one year, which equates to 4 pairs of shoes over the course of the year. 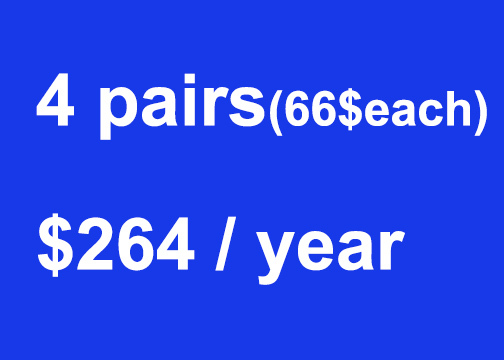 With the average price of a running shoe approximately $66 this would cost a runner $264 per year. In 2013 looking at only marathon runners, there were 541,000 individuals who completed a marathon. This equates to roughly $142,824,00 spent on shoes per year just to train for and run a marathon in the U.S. if you follow the guidelines published in 1985. Do you see why no one in the shoe industry is rushing to publish any new data on when to throw away your shoes? As shoe cushioning capability decreases, runners modify their patterns to maintain constant external loads. The adaptation strategies to shoe degradation were unaffected by different cushioning technologies, suggesting runners should choose shoes for reasons other than cushioning technology. Kong PW, Candelaria NG, Smith DR. Running in new and worn shoes: a comparison of three types of cushioning footwear. Br J Sports Med. 2009 Oct;43(10):745-9. So, as you can see, as the shoe’s cushioning decreases (and it has been theorized that as cushioning is lost injury will result) runner’s will innately modify there strike patterns to maintain a constant external load. Does the cushioning really matter? And if it does to some degree, does it really need to be change after 300 miles if our body is adapting? Something else to consider since we are on the subject of cushioning. 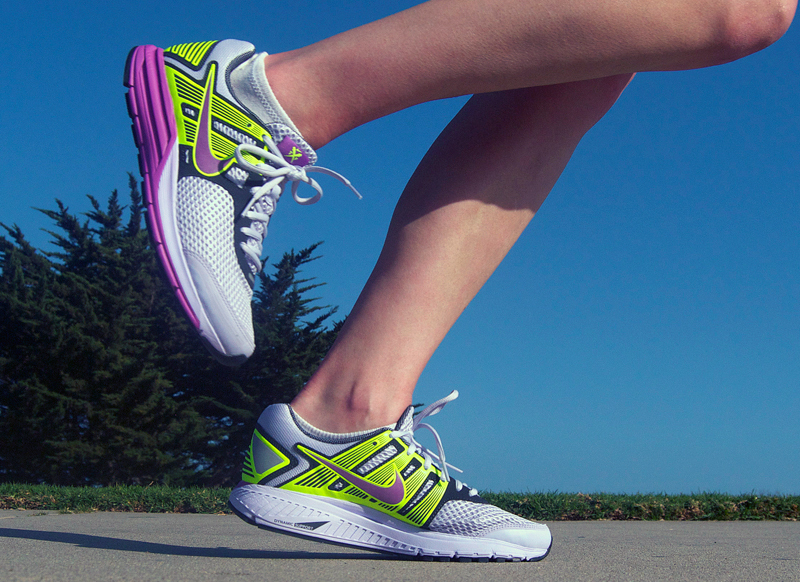 What can we say about the new line of shoes known as “maximalist” running shoes? 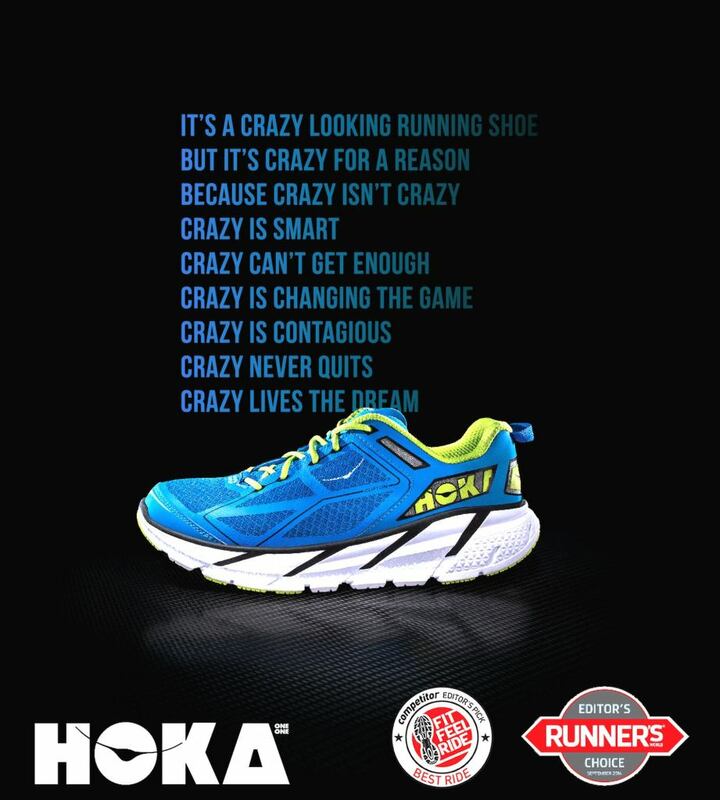 The Hoka One One, which has creatively borrowed the marketing campaign used by Vibram FiveFingers with the “Crazy” slogans, has become one of the most popular selling running shoes in specialty retail running stores. You can’t pick up a Runner’s World magazine without seeing one of their “crazy” ads. Why are these shoes becoming so increasingly popular? Is there any research published on them? Has there been any research utilized in the design of this shoe in regards to reduction of injury? Absolutely not. Why then, do you ask, is it so popular and seen a skyrocketing in sales? Because people like it. The instant gratification factor. As soon as you put it on, you feel the comfort and squishiness of the shoe which feels good. Does it enhance running? Some runners say it does but it’s never been studied. It’s simple supply and demand combined with some marketing that is driving this shoe. Joe Runner tries it and likes it. He tells a friend who then tells three other runner friends and before you know it they are all in Hokas. Where’s the research? It’s all word of mouth. So, how often should you change your running shoes? It probably isn’t much different than the strategy you use for how often you change your casual shoes. My wife has ran a marathon in a pair of ASICS which she had logged well over a 1,000 miles in and she has flat feet (this was 3 years ago). She then switched to a pair of New Balance Minimus and ran 3 marathons in the same pair as well as trained in them. Does the cushioning degradation really make a difference when it comes to injury? If you listen to one study published in 1985. Evidence against prescribing running shoes based on the motion control paradigm. Really interesting article! I don’t track miles on my shoes, but I rotate regularly (and have too many), but I have never felt a shoe ‘go’. I always put this down to being really lightweight and never clocking huge miles in just one pair, but what do you say to those people (including international runners), who say they can feel when a shoes cushioning ‘goes’ and it’s time to replace them? You can definitely tell when cushion breaks down, the question is does it matter? Studies show that as a shoe loses it absorptive quality, less muscle activation is required to keep foot stable thus reducing the risk for overuse injury. Think of it as the foot will be less wobbly with less cushion. 300 to 500 miles has been a general rule but I have found that after 300 miles a shoe will feel definitely “flat” compared to a new shoe. What does this mean? First, it means you will not enjoy your run as nearly as much. Second, it means, at least to what I have found, creeping soreness which can lead to injury. 5-10 miles: the shoe has broken in and it is in it’s best shape it will be in. The vitality of the shoe comes shining through. 10-50 miles: Still vital, great shape, great support, great shock absorption and still springy but by 50 miles I feel that the best period of the shoe is over. 50-100 miles: The midsole gets flatter but everything still feel great. The shoe is still in top condition. It would be wasteful to replace a shoe now. 100-200 miles: This stage sees the shoe slowly losing it’s properties. It’s still very runnable and the quality is there but it’s far from the quality of a new shoe. It sits a little lower than a new shoe. 200-300 miles: The shoe is still good, not great. It’s still slowly losing it’s properties. The midsole is now noticeably flatter. Compared to a new shoe it’s noticeably lower off the ground. 300-400 miles: The shoe can be run in but it’s not all that much full. It’s protects the feet from the ground but the support and shock absorption are almost gone. I feel soreness in my knee(s) that I didn’t before. Intuitively I feel it’s from the shoe. My conclusion: if running is an important part of your life and you can afford it buying new shoes at 100-200 miles is idea. This will keep running enjoyable and safer. 200-300 miles is great to. 300-400 miles is good. Anything over 400 miles is not a good idea.